If you’re like me, you probably take a lot of pictures with your phone. 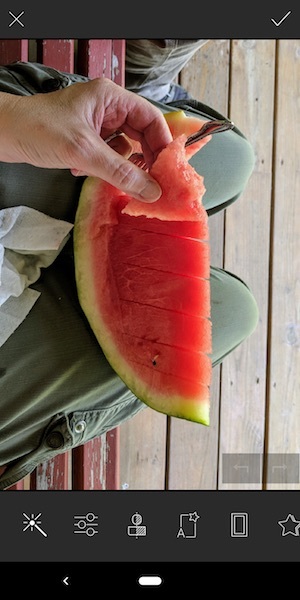 Flipping through pics on our phones is fun, but most of us don’t get a chance to enjoy them OUTSIDE of the phone. 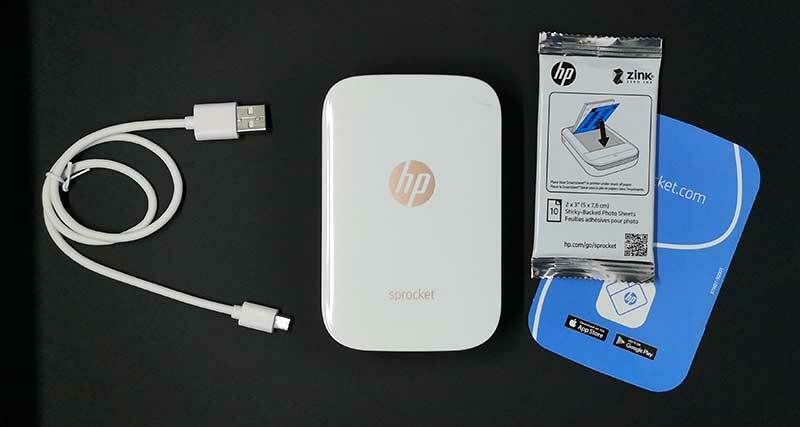 One way to do that is to print the pictures and one solution that can help you with that task is the HP Sprocket portable photo printer. Let’s check it out. 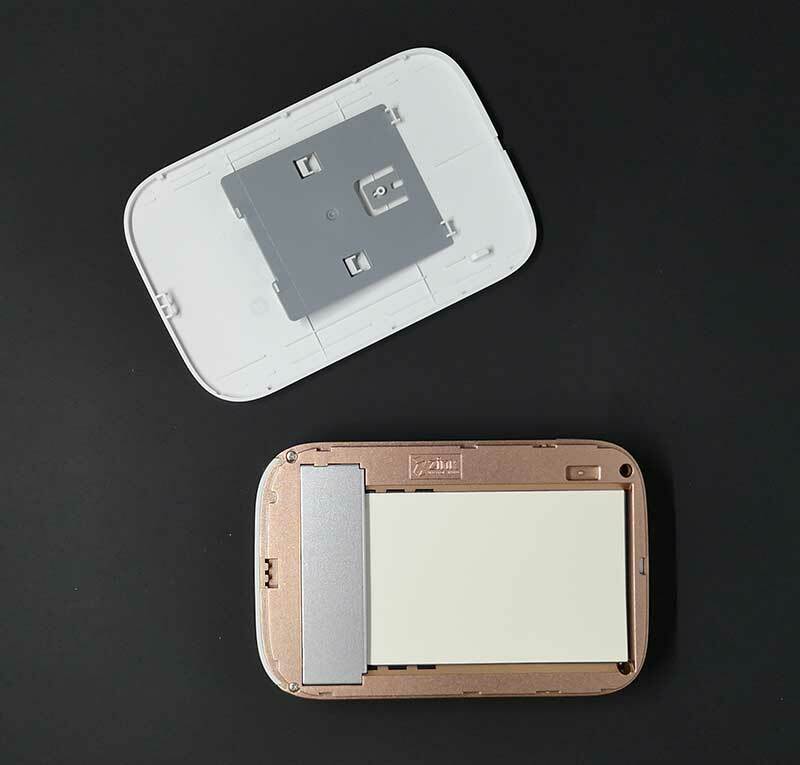 The HP Sprocket portable photo printer is a battery-powered printer that is about the size of a deck of cards and pairs with your phone and the HP Sprocket app to allow you to easily and quickly print your images on 2 x 3-inch sticky-backed paper without using ink. 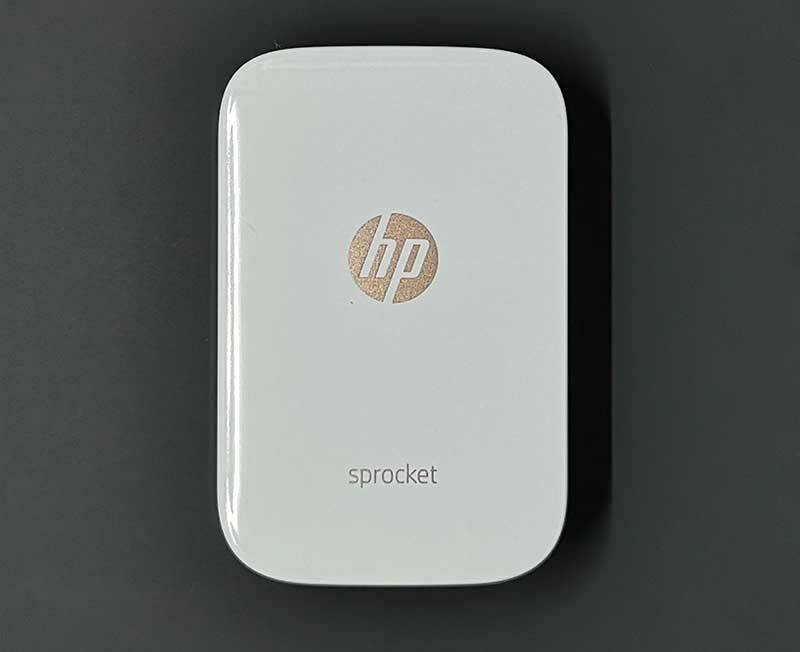 The HP Sprocket printer is available in several colors, but I was sent the white version of the printer which has bronze colored accents. 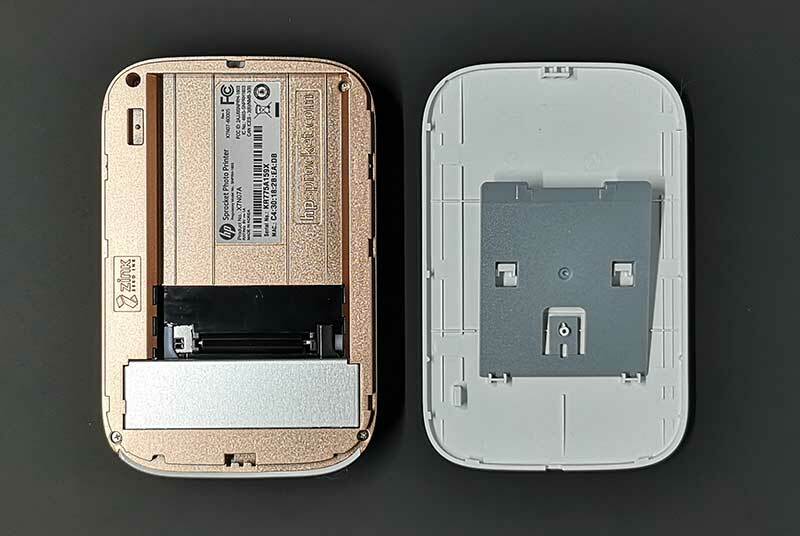 The small printer has a plastic case with one button on the side which toggles power. On the back of the printer is what looks like a lanyard attachement point… weird. 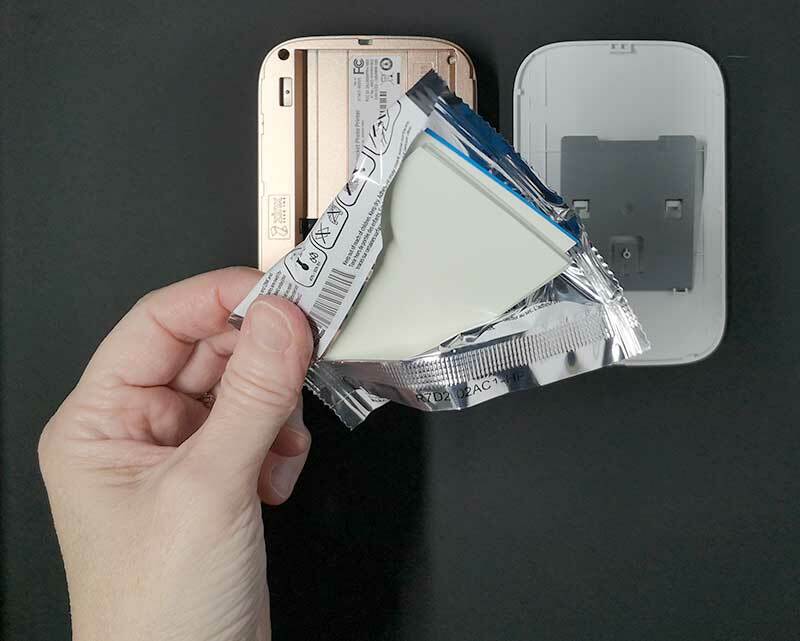 You’ll also find the micro USB port for charging, two status LEDs, and a reset switch/hole. The front edge of the Sprocket is where the printed photo is ejected. 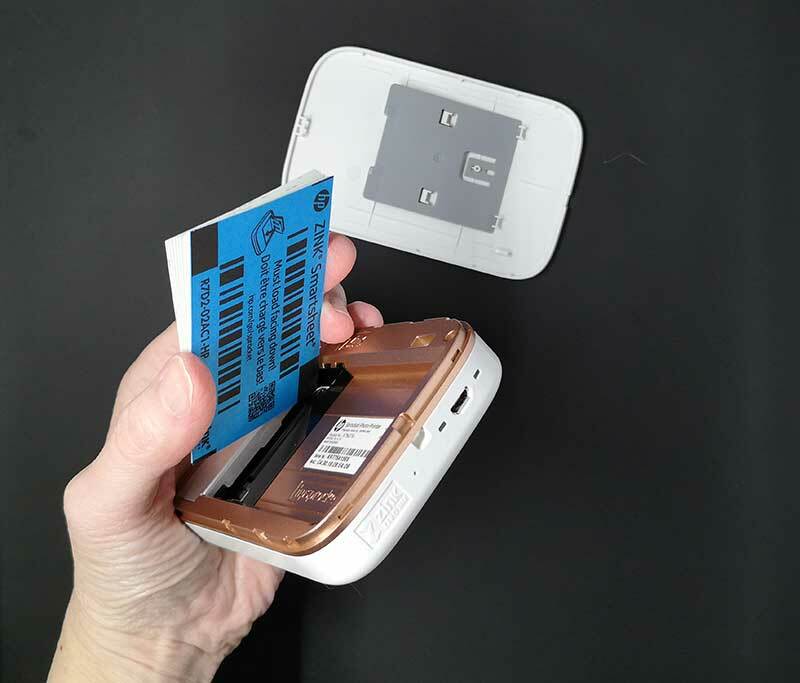 The top of the printer slides off to reveal the compartment where you place the photo paper. The photo paper is packaged in 10 sheet packs and probably has some sort of coding that won’t allow you to use other types of ZINK paper that are marketed for other brands of printers like the Sprocket. I’ve reviewed a couple other printers that also use this type of paper and they all include a special blue card that has to be left in the stack of paper face down when you install the paper into the printer. Here we see the stack of 10 sheets of ZINK paper placed in the Sprocket printer. A spring-loaded pressure lever keeps the paper in place so that it doesn’t jam up inside of the printer during the printing process. 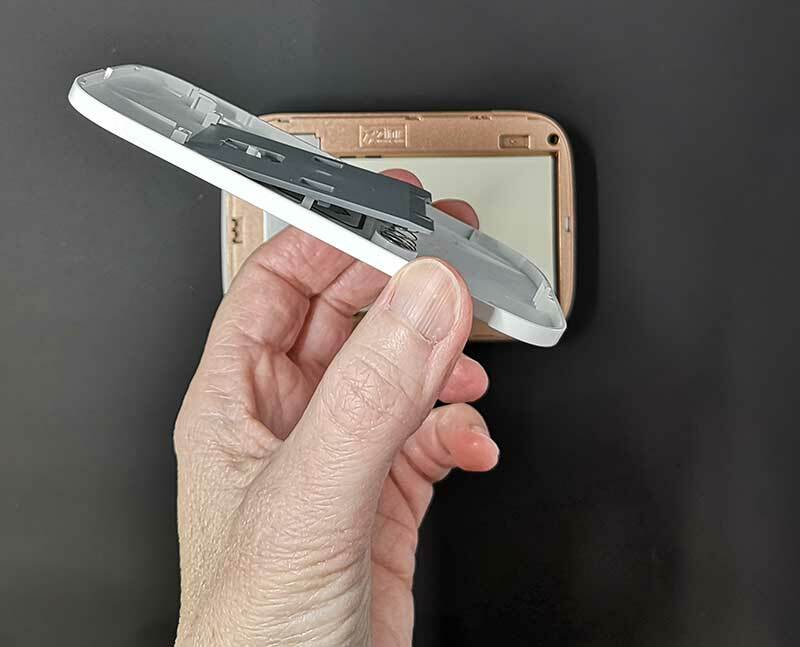 I’ve had this problem with another older printer that I reviewed years ago, so I like to see that HP has designed a solution for this potential problem. 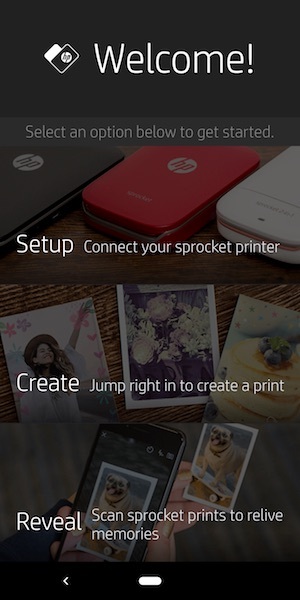 To print your pictures, you need to install the HP Sprocket app on your phone. 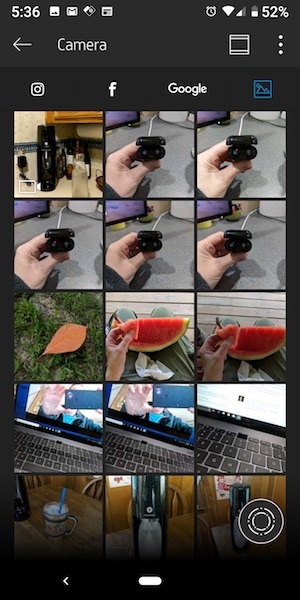 This app will let you view, edit, and print the images in your phone’s memory, on your Instagram account, Facebook account, and Google Photos account. 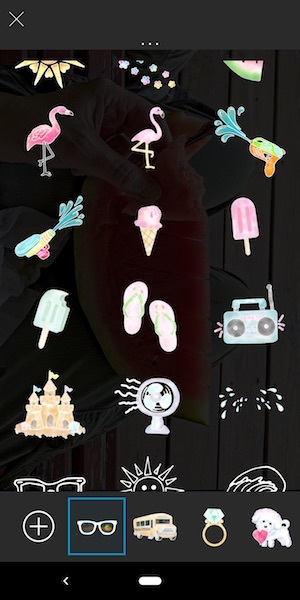 The app also lets you do some rudimentary editing like cropping, adjusting levels, adding text, and stickers. 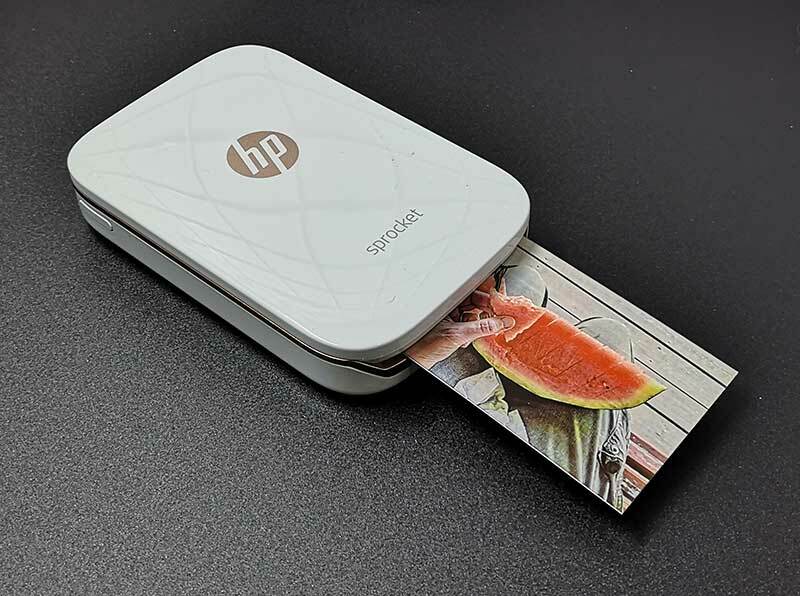 Printing is quick and easy and since the HP Sprocket uses ZINK photo paper, you don’t have to worry about ink drying, smearing your smudging. The prints are ready to use and pass around as soon as the print ejects from the Sprocket. My favorite thing about the prints is that they are peel and stick. I usually have problems peeling the other ZINK photo paper that I’ve used with my other photo printers, but the paper backing on the HP ZINK paper is noticeably easier to separate. I like to use the prints to embellish the entries in my journal. I’ve reviewed a couple other printers very similar to the HP Sprocket, so I wasn’t expecting the resulting prints to be much if any different than ones I’ve been using for years. But I actually was surprised. The prints from the HP Sprocket look a bit crisper and have more vibrant colors than prints from Polaroid and Panasonic ZINK printers which have always looked a bit washed out to me. The HP Sprocket app is a bit more polished as well compared to the other printer apps. 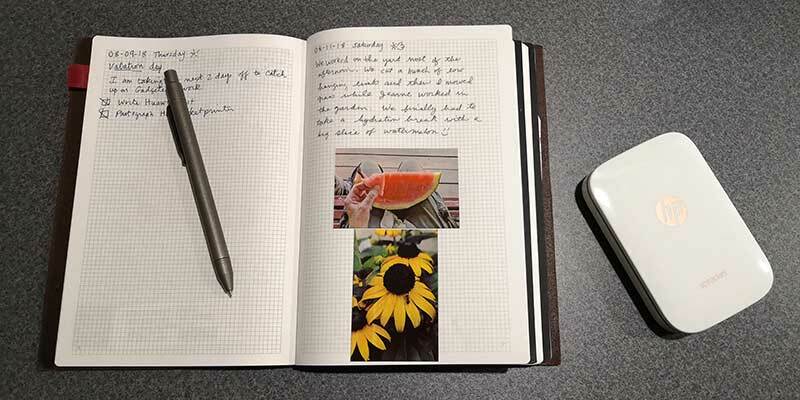 If I was in the market for a pocket-sized photo printer today, my first choice would be the HP Sprocket portable photo printer. It’s a keeper. 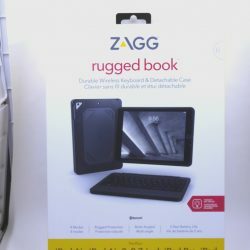 Source: The sample for this review was provided by HP. Weird..I never got it to print anything as sharp and vibrant as yours. I tried it from photos taken on the iphone, samsung phone and even DSLR. Had to return it. Not sure if it was a lemon or just bad paper though. That is weird. Maybe they’ve updated the firmware to help with color saturated. I purchased a sprocket several months ago and took it to my niece’s high school graduation. I printed off several pictures from that day and gave them to her. She loved them and they all turned out really well. One question would be what is the cost per print. 30 cents per print if you buy the 20pk photo paper from Amazon for $5.99. Or 22 cents a print if you buy the 100pk box for $22.49 I don’t feel like that is too bad of a price considering the pics are stickers. A box of 100 sheets would last me for a couple of years.